Last night, I watched from the opposite coast as news coverage showed Baltimore, my adopted city, burning. I watched the violence and destruction at Mondawmin Mall, where I shopped. I watched it on North Avenue and Fulton, where I made the turn every day when commuting to work in southwest Baltimore. I felt helpless and heartbroken to see the city I love in distress. However, I was also reminded why I chose to pursue a research career in urban ecology. It can be easy to reduce urban problems into dichotomies: cops and criminals, poor and rich, black and white. Yet this is overly simplistic and does not address the underlying current or historical issues that have led to this point. It is incredibly important that cities work to address their systemic problems instead of continually putting out fires, real and metaphorical. This requires an in-depth understanding of the city as a whole. It requires facts and analysis, not opinions or assumptions. As a graduate student, Baltimore City (and my mentor, Dr. Morgan Grove) taught me nearly everything I know about urban ecology. In my role as postdoctoral researcher with the LMU Center for Urban Resilience, I study Los Angeles and also continue to collaborate as a social scientist with the Baltimore Ecosystem Study Long-Term Ecological Research Project (BES LTER), which was established in 1997 as one of the first urban ecology scientific projects of its kind. 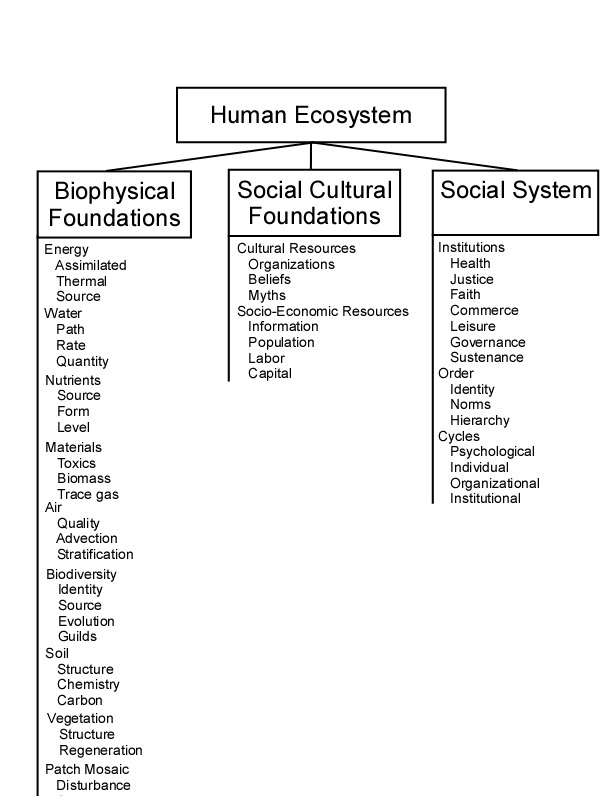 Urban ecology is the study of cities as complex social and ecological systems. Instead of considering cities and nature as artificially separate entities, urban ecologists study cities as ecosystems; albeit a specialized type of ecosystem that is as impacted by social, cultural, economic, and political forces as it is by biological, physical, and ecological ones. Urban ecologists in the Baltimore Ecosystem Study use scientific methods to collect information about the urban ecosystem and understand the relationships between, for example, tree cover and crime in Baltimore neighborhoods (Troy, Grove & O’Neil-Dunne, 2012). They also conduct historical analyses to understand how past events impact current conditions, which can help inform decisions that will impact future generations. Sustainability and resilience are not terms intended just for environmentalists and ecologists. True urban resilience incorporates social equity and economic stability. In urban ecology, we understand that the health of the environment and the health of society are intertwined. Here at the LMU Center for Urban Resilience (CURes), established in 2011, we work with faculty, staff, students, and community members to develop research and other interventions that can lead to more resilient and just communities. Our goal is to pair the study of urban ecology with local issues that can benefit from the talents and resources at LMU. We support a variety of projects ranging from science, technology, engineering and math (STEM) teacher professional development; urban biosocial research; graduate education; restorative justice; and regional climate change initiatives. Thus, here at CURes, we hope to apply some of the knowledge and models developed in Baltimore. We hope to use urban ecological science to better understand cities as a whole and to share that science widely to inform decision-making. About the Author: Dr. Michele Romolini is a postdoctoral fellow and part-time faculty member who started working with CURes in 2013. She completed her Ph.D. in Natural Resources at the University of Vermont, with a dissertation project examinin the environmental stewardship networks in Baltimore and Seattle. At CURes, her main research focus is L.A. Stew-MAP, a project to inventory and map all of the environmental stewardship activities conducted by organizations in Los Angeles. L.A. Stew-MAP will draw on established methods (see www.stewmap.net) to ask organizations how, where, and with whom they conduct environmental stewardship activities in the city. Dr. Romolini is also coordinating an effort with the University of Vermont’s Spatial Analysis Lab and SavaTree to assess the urban tree canopy of Los Angeles, using fine resolution imagery and LiDAR data. She teaches courses in urban ecology and environmental studies.